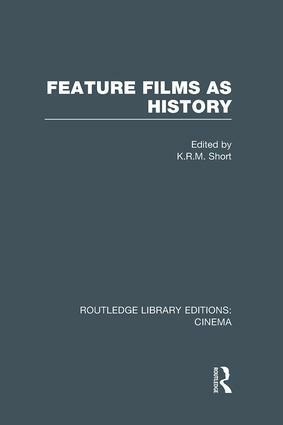 Bringing together the work of leading film historians, originally published in 1981, this book illustrates the breadth of methodological approaches adopted by the field and the variety of its interests. Dealing with a period from about 1924-1945, it considers feature films in particular, showing their potential as historical source material, and discussing how they provide a clearer understanding of the societies and intellectual trends they both reflected and affected. By using films as historical documents, the articles demonstrate how important new insights may be gained into the history of the Soviet Union, France, Germany, Great Britain and the United States. They provide both detailed in-depth studies and a general introduction on the problems of the type of documentation appropriate to the study of film history.